Tammy Wynette, the “First Lady of Country Music,” collected some 279 recipes for her favorite down-home foods including such flavorful dishes as Mississippi-Style Stuffed Bell Pepper, Cornmeal-Fried Potatoes, Pineapple-Banana Pudding, and Sour Cream Pound Cake. Tammy chose a unique selection of Southern dishes sure to please hearty appetites everywhere. Even more enticing than the dishes are the personal anecdotes and history revealed with many of the recipes. She loved the simple goodness of home cooking, and once declared that her favorite food was a hot dog—she would have chosen that over a steak any day! Winner of two Grammy Awards and very popular musician, Tammy Wynette never lost touch with her roots. Growing up on a farm in Mississippi, she developed a natural love for fresh vegetables, savory meats, and homemade breads. To stay out of the cotton fields, she learned to cook as a child, and her fondest memories were of her mother and grandmother in the kitchen with the smell of fried apple pie wafting through the house. 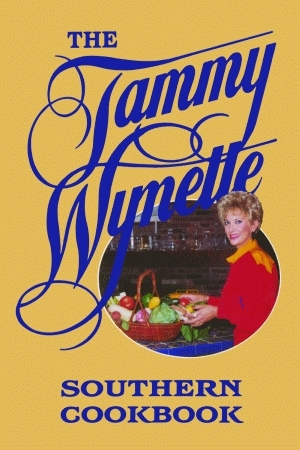 Fans of country music and country cooking alike will love The Tammy Wynette Southern Cookbook, a lasting memory of the beloved singer. She died in 1998. 224 pp. 6 x 9 16 pp.